At the beginning of this year I started a journey of improving aspects of my life that I felt were not working for me. Unfortunately, in March, I got shingles in my face and eye and was pretty much incapacitated for a month. It took three months for life to get back to normal physically speaking, but mentally I had taken a battering. My mood dropped, my sleeping increased, I felt bloody dreadful. This has pretty much continued since then, with cycles of feeling okay, then feeling dreadful, up and down. Its now October, and for my own sake, I really need to get a grip on my life again. I feel like a boat without a rudder, knowing where I want to go, but unable to steer myself where I want to go. I feel at the mercy of the wind. Its not how I want to finish of the year, and its not how I want to live. A month ago I started a program called The Artists Way that takes you through a series of tasks aimed at unblocking your creativity and allowing you to get past the issues that may be preventing you from fulfilling your artistic pursuits. As a painter, I had not painted since the beginning of the year and I really needed to start again. I always feel better when I paint, and I needed anything I could find to pull me out of my depressed slump. The changes were amazing, my motivation to paint, quilt or sew where re-ignited, and I started to feel better about my day. This has led me in the last week to thinking that I also need to focus on the other ares of my life that are in limbo. My career, health and fitness, organisation, money management etc. have all taken a hit and I really need to sort these out. Earlier in the year I read Gretchen Reuben's The Happiness Project and was inspired by her journey of examining her life and spending a month on different aspects to find what really makes us (or her) happy in life. I've also been interested in reading peoples accounts of having a year off something- sugar, alcohol, whatever takes their fancy. In a way it would be good to focus on one thing, and it appeals to the obsessive part of my personality, but that does not really suit me at this stage. I also wonder f doing something for an entire year would be setting myself up for failure. I struggle with consistency (probably another area to work on!) For me, I have a few areas I need to work on, and rather than examining in detail everything, I just want to see how much I can change my life to get it more balanced and in a position where I can achieve what I want to achieve in life. My plan for October is to get back to basics. In the next day or so I will be listing some goals for the month, including my alcohol-free period, as well as health, fitness and sleep to get my mood back up to build a foundation for the months ahead. 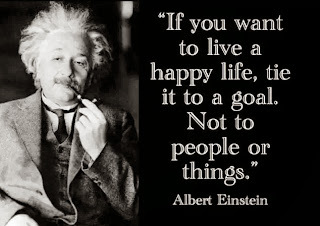 Goals are a good way to move forward, to keep on track, to remain motivated. I'll also keep checklists of my progress to see how I'm travelling. I'm quite excited about this year ahead. But I wont deny I am apprehensive, knowing that I will have to face some changes and new ways of doing things. Hopefully others will check out my progress as the months go on and be a little inspired to change some things themselves.